Stylist’s tip: A great way to up your black-tie sparkle: Wrap your wrist in a dazzling bracelet watch. 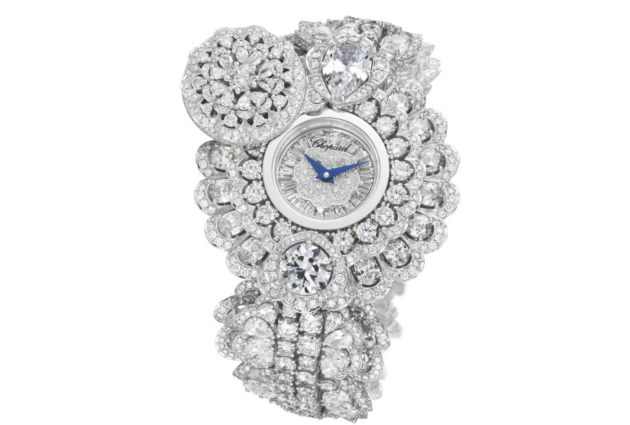 Shown above, Chopard’s Garden of Kalahari Secret Watch. Stylist’s tip: To make a subtle statement, skip the necklace and just wear a great pair of earrings. 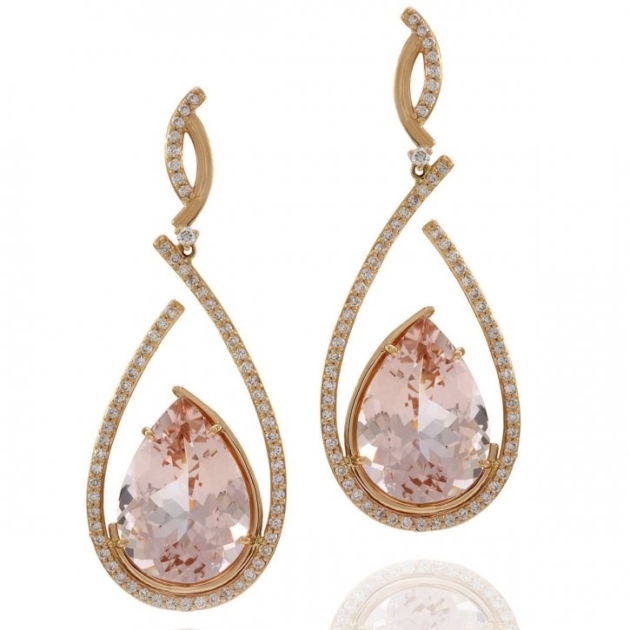 The morganite and diamond dazzlers shown below are from Vianna Brasil and would look SO perfect with by blush-colored dress. Do dress for the photos. “Remember that the photos of the wedding will last forever, so stay away from trendy pieces that can overwhelm the overall look,” says Karen Kleber a Manhattan-based fashion stylist with a celebrity clientele. 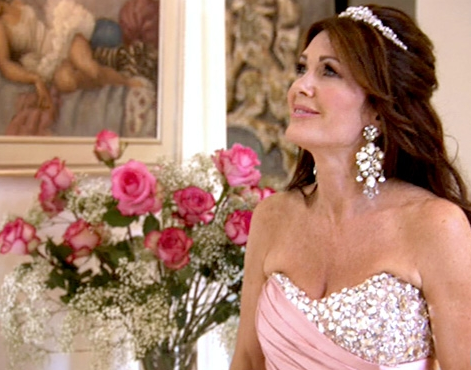 Genevieve agrees: “You don’t want to wear something that will make you cringe five years later when you’re looking at them,” she says. Stylist’s tip: Avoid jewelry silhouettes that run too long or are oversized, such as lariats, elongated pearl necklaces that can look dated, shoulder dusters, and wide cuffs, Genevieve advises. 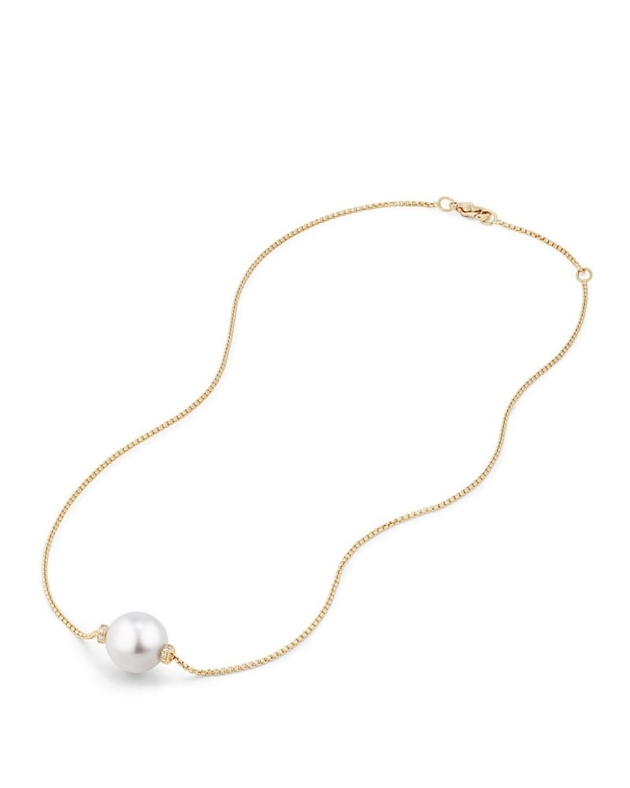 Aim for silhouettes that are face-framing, like 16 to 18-inch pendant necklaces or single stranded pearls. “Even the ” layered” look can be too cluttered or sloppy for this occasion,” she says. “They often clash with a wedding party’s attire and can draw too much attention away from the bride.” Shown: David Yurman’s Diamond and Pearl Solari Single Station Necklace is just right! Do beware of bracelets. They can catch on your dress. They can also tear a bridal veil to pieces, says bridal jewelry designer Andrew Prince. 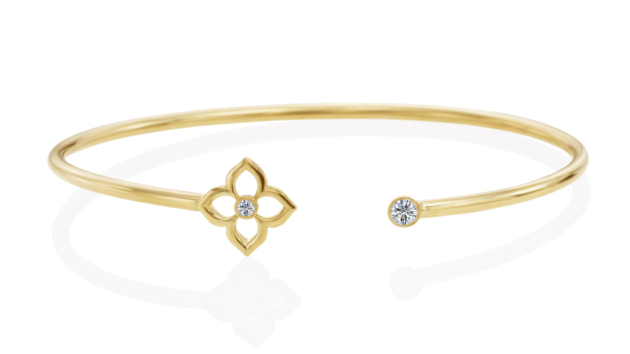 Stylist’s tip: If you want to wear a bracelet, a smooth, delicate one is best, like the bangle shown below from the Gumuchian Mini G Boutique. Stylist’s tip: If the piece itself doesn’t work on your outfit. 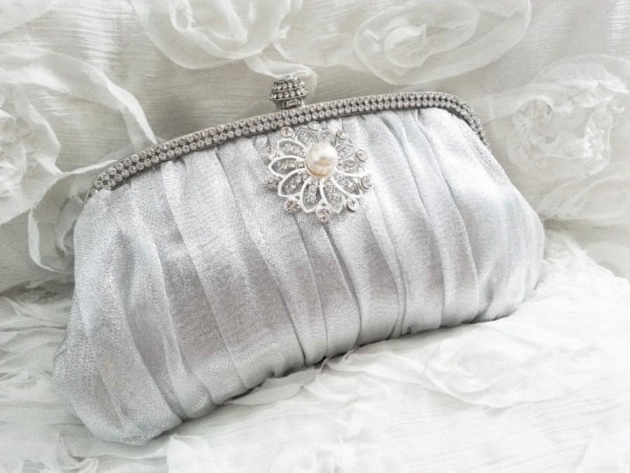 Attach it to your clutch shawl, or even on the ribbon of your corsage. Greetings from Colorado! I’m bored at work so I decided to check out your website on my iphone during lunch break. I really like the knowledge you present here and can’t wait to take a look when I get home. I’m shocked at how quick your blog loaded on my phone .. I’m not even using WIFI, just 3G .. Anyways, amazing site!